At City Image Signs, we design, manufacture, install, service, and maintain a variety of illuminated and non-illuminated permanent signs. At City Image Signs we recognize the importance that sound pre-construction planning and expert management plays to the success of any development project. Our team of signage professionals will help guide you through the requirements and considerations when planning and executing the conceptualization, design, and fabrication of your signs. With a commitment to value, quality, and superior results, please make City Image Signs the signage supplier of your next development. Whether engaging in a new build, refurbishing a façade, or performing a tenant improvement, we at City Image Signs recognize that all projects running through General Contractors involve the coordination of multiple sub-trades to get the job done right, on time, and on budget. Our specialized approach to working with the General Contractor in the pre-construction and building phases of a project help to ensure that all signage requirements are addressed up front. With an exceptional track record in meeting deadlines, a firm understanding in construction logistics, and a commitment to providing the highest quality signs at a great value, please consider City Image Signs to be a part of the sub-trade team on your next project. WE HELP PROTECT YOUR BRAND! At City Image Signs, we recognize that one of the most important aspects of marketing a franchise or large corporation is to ‘protect the brand’. 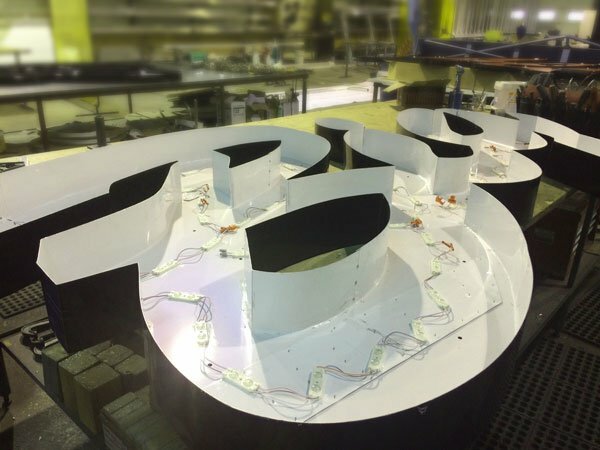 With leading edge design, a progressive manufacturing model, and experienced in-house fabricators and installers, we ensure that your company signage will command the recognition and the attention that the brand deserves. With national reach and a growing reputation of consistently exceeding expectations, please consider City Image Signs as your next signage contractor. Give us a call today and let’s build a relationship together. LET US HELP GROW YOUR BUSINESS. Buying a sign can be an unfamiliar process to many and having a flood of questions is not uncommon for the first time sign buyer. At City Image Signs, our team of experts will help guide and coach you through the process of purchasing your sign. Our unique consultative approach will help to easily translate your vision into a custom manufactured marketing tool for your business. From the concept, through creative, through permitting, installation, and follow-up, City Image Signs is your turnkey signage solution provider from start to finish. Please consider City Image Signs for your first signage project and let us help you get your business off the ground.